The all-new EKOI STRIPE collection: a range of highly-technical cycling wear that is both comfortable and stylish. The EKOI STRIPE collection is particularly aimed at the competitor and regular cyclist. We have selected the best Italian materials available that have been specially designed for bike racing. 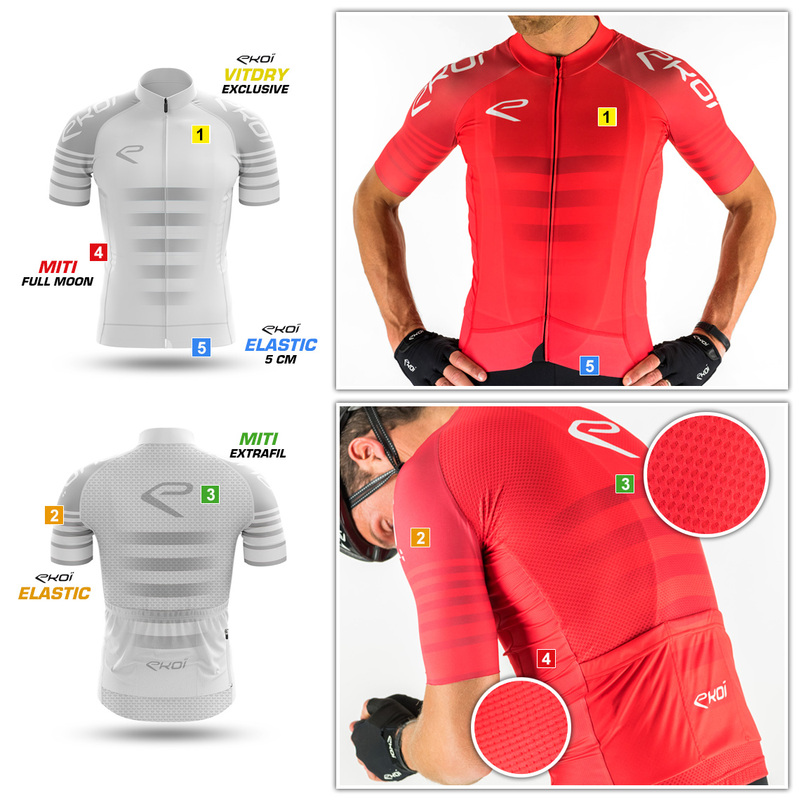 The jersey is made of 4 different materials: a windproof material used for the front, a lightweight material used for the back, and stretchable second skin effect material used for the sides, across the shoulders and for the sleeves. Slim (race-cut) fit, the back of the jersey has a "magpie" (drop-down) tail for optimal protection of the lower back even when down in the drops, the sleeves are slightly longer (as favoured by the pro riders) than normal with a laser cut (hem-free) finish. The finish of this jersey has been thought of down to the finest detail offering you technically-optimal apparel, oh, and I almost forgot, it's very stylish too!. - Silicone back and sides waist hem.